Don't Buy Nitrogen Gas... Make it! 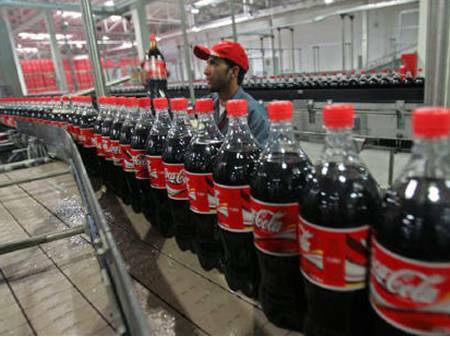 Coca-Cola Bottlers Ireland is part of the Coca-Cola Hellenic Bottling Company, which operates in 26 countries and produces soft drinks under franchise for Coca-Cola Company. The site in Dublin bottles carbonated drinks and produces post-mix concentrated syrups that are delivered to restaurants. Three thousand 18 litre tanks of post-mix are produced every week for cafes and restaurants and one hundred 300 litre tanks are produced every week for exclusive distribution to a leading fast-food chain. Coca-Cola blanket post-mix tanks of the concentrated syrup with nitrogen to pressurise the vessel. Nitrogen was supplied via gas bottles, but health and safety concerns forced a new solution to be found. The company was familiar with domnick hunter since they already used OIL-X EVOLUTION filters, condensate drains, oil/water separators, PNEUDRI, Liquid CO2 filters (-40°C), and a CO2 purifier. In 1999 an N2MID350 was installed by Dalco Nitrogen Systems, official MAXIGAS distributor, to deliver nitrogen with a purity of 99% at a flowrate of 5m3/hr. Typical annual savings of between £10,000 and £12,000 have been achieved since the switch from bottles to PSA nitrogen.